"The eighth hole can be a great birdie opportunity if played correctly but as with all the holes at Hartford it still demands your full respect! It's another hole where you have to be very decisive on the tee about which club you are going to hit and exactly where you are aiming, for most golfers your driver should be the club that you choose and your aim should definitely be on the right half of the fairway, the reason for this is to stay well away from the out of bounds left but also a shot up the right will open up your view of the green for the approach shot. Pick a very specific spot on the fairway to aim at or a spot just in front of your ball on the target line you want your shot to start on. If you are a big hitter the driver might not be the best club to tee off with as you can actually get to close to the green which would leave you what I would call a tricky 'in between' shot that requires a more precise partial swing, remember that being nearer to the green isn't always preferable. 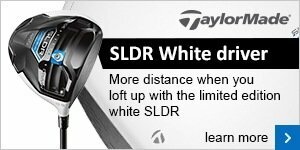 The approach shot to the green can require some accuracy, hopefully many of you will by now have invested in a GPS distance measuring device such as a watch, they really are very helpful in giving you very accurate yardages and then you can be sure what club you need to use for your approach. For this hole for example anything short of the green will be eaten up by a bunker and anything through the back can easily end up out of bounds which is close through the back, if you are stood on the fairway just trying to guess the distance will leave you at a massive disadvantage and you can't possibly be as accurate as you need to be to play your best golf. Once you know the exact yardage to the green you are then in a position to hit a good shot into the green that can set up a birdie opportunity, the green is relatively flat so you can be positive when putting knowing the putt won't break too much and again when you finish look back up the hole when you have finished playing and quickly review how you played the hole and what you may do differently next time, try this strategy and let me know how you get on." Can you beat Adrian over nine holes? Throughout the winter Adrian Hill will be running a great deal on a nine hole playing lesson, you can play a round with Adrian and receive some expert tuition and course management strategy for the bargain price of just £40. In fact Adrian has an even better offer - if you can beat his score over the nine holes with your handicap taken off he will give you the lesson for FREE! Even if you don't beat him you have received two hours worth of professional coaching and tips that is guaranteed to improve your game for the great price of just £40. Adrian is available for these playing lessons all day on Tuesdays, Thursdays and Fridays. If you would like to book a slot please click here. 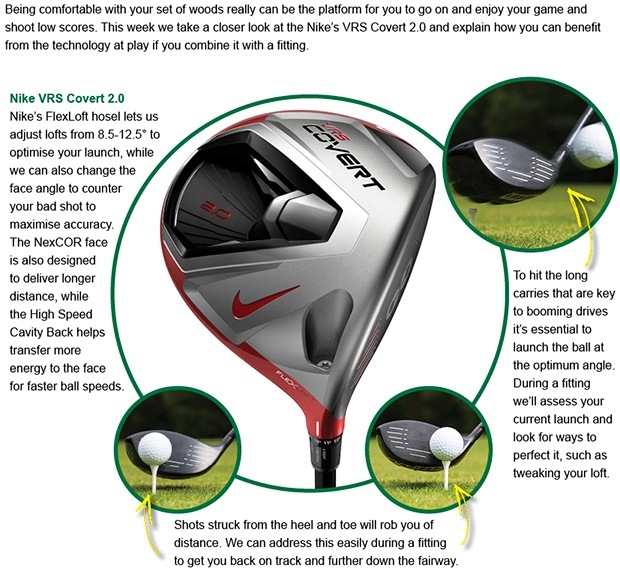 Now that the weather is turning a bit wetter and colder it should be the time for you to make sure that you are prepared for your winter golf, one essential aspect of golf at any time of the year in Britain is a good waterproof suit and the new Nike Hyper Adapt waterproof range that has just arrived in the shop is honestly the best that I have seen. 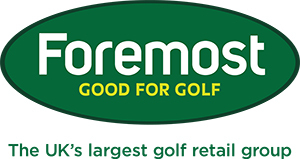 But don't take my word for it come down and try a jacket on for yourself and we will even give you a FREE basket of balls to hit on the range so that you can hit some shots with the jacket on and experience the totally unrestricted four way stretch movement it allows whilst offering you total waterproofness and warmth. Nike are so sure of the performance they are offering a lifetime waterproof guarantee, come down to the shop and take a look and have a try for yourself I am sure that you will be impressed! The October medal was played on Saturday and even though the weather was great this was the first of our winter season competitions. It was our in form captain Chris Bird who followed up his runners up spot in last weeks President's Day with a first place in the medal with a great score of nett 65 playing off his 12 handicap (which is now 11) and he played the front nine particularly well in just one over par. In second and third place respectively were Simon Stephenson and young Kieran Underwood both scoring nett 68's. Our competition Secretary Paul Underwood was also celebrating his 40th birthday on Saturday and he enjoyed a few cocktails in the bar after his round! The next competition is the Midweek Stableford on Wednesday 15th October and there is a 3 Club Challenge, which is always good fun, on Saturday 18th October. It's still not too late to enter the Winter League, so far we have an entry of 18 pairs and the first round takes place on Saturday 25th October - this is the deadline date for you to enter, if you would like to play but haven't got a partner just let me know and I'm sure that we can fix you up. It's that time of year again when we present all the summer prizes, this is always a highlight of the year and is a great chance for us all to get together and celebrate the season's winners (and commiserate with the losers!) and look back at a another great season. It takes place on Friday 24th October with a 7pm for 7.30pm start. All prize winners are encouraged to attend including senior and lady golfers and guests are more than welcome with a smart casual dress code, there is a 3 course meal around the presentation and tickets are very reasonably priced at just £15 each. Please purchase your tickets in advance they are available in the bar now. To view a list of prize winners please click here. Last week the seniors played their September 18 hole Stableford, it was great to see John Sykes win as he has recently had a few lessons with Adrian Hill and has been working hard on his game, the lessons have certainly paid off as he came in with 46 points including 25 points on his front nine - it shows that just a couple of lessons with an expert can seriously improve your game! John has now seen his handicap drop from 27 to 25. Dennis Cherry has also been playing well recently and finished in second place with 40 points, in third was Paul Frost also on 40 points. This Tuesday the seniors were scheduled to play an 18 hole Autumn special but the weather was a bit wet and wild so it was decided to play a nine hole Stableford instead, there was still a good turn out and the winner was our welsh wonder Alan Calvert who battled through the rain to 18 points. In second place was senior club champion Steve Denne also on 18 points and in third place was Keith Morrish, who birdied holes seven and eight, on 17 points. Kath Hough has been playing really well recently and after a second and third place finish in her last two outings she won the latest nine hole Stableford with a 20 point score which sees her handicap drop to 30. Collette Walling scored 18 points and finished in runners up place for the second time in a row, in third place was Sandra Peake with 17 points. The next ladies event is a match against Sandbach Golf Club next Tuesday and the Di Sommerville Vase is coming up on Sunday 19th October with a 12.04pm start. 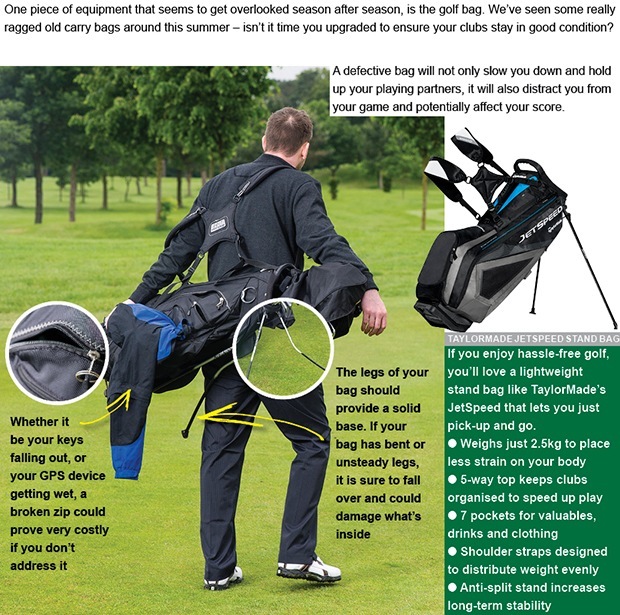 Is your golf bag showing signs of stress?